In many of the companies we work with, we hear killer phrases regarding the need for business innovation. One side says: “Digitization and business innovation will change markets more radically in the next decade than in the past twenty years. Innovation, a clear innovation strategy with an innovation roadmap and the development of digital business models are among the most important tasks for companies in the coming years. Innovation management has never been so important than it is today”. Who’s right? And are the killer phrases to innovation really valid? Here are our personal top 10 killer phrases why innovation is not the right strategy. And why the right time for innovation has still not come. That’s true. Not all industries are changing at the same pace. The extent of disruptive innovation – i.e. the radical change of markets triggered by new technologies – affects industries to varying degrees at different times. In the long run, however, developments from different markets will change every industry. Isn’t that always the case when companies are exploring new territory? Let’s say you’re expanding into another country. Do you really know it? Do you speak the language? Do you know the cultural conditions there and the economic networks? Methods such as Open Innovation and Co-creation help companies to quickly acquire missing know-how. Your own success often stands in the way of successful innovation. The number of orders received is sufficient and the workforce is working at 100 per cent capacity. Now you want to drive innovation forward? No way. A suggestion: Start with organizational innovation. Optimize internal processes and procedures to become even more efficient. Gain freedom for innovation projects. Sure, if you call the most expensive management consultancy and have apps developed by highly specialized agencies in Silicon Valley… Then you can watch how money flows out of the company. Particularly business innovation, however, is characterized by the fact that companies find ways to realize it inexpensively. At one of my lectures I met a very interesting person: The head of an architectural office with twenty employees. His company is a leader in the use of Building Information Modeling (BIM). At an innovation congress in Germany he candidly admitted: ‘I prefer to draw, innovation is not my business’. But he had the courage to leave the field to his young employees. Management doesn’t have to appreciate everything, it just has to know someone who drives it forward with passion. At the end of the 1990s, nobody in Germany wanted the Internet: “6.5 % of Germans aged 14 and over – mainly men – use online services,” the 1997 ARD ZDF online study reported. Shopping online and bank transfers by computer – that was considered high-risk at the time. And yet Amazon had already been on the market for 3 years. Successful innovation is based on customer needs that customers do not yet know today. Have fun with that. The pace of change will become even faster. While you are waiting for the next generation of technology, the one after next is already in the starting blocks. How long are you going to wait? Although the pace of change is increasing, individual solutions often take longer than expected. That seems like a contradiction, but it’s not. At the beginning, innovations are often not user-friendly enough. Accordingly, they do not succeed, although theoretically they have the potential to do so. Just try it again. Simplify access for potential new customers. Try to develop innovation from the perspective of customers who have little time to think their way into your offering. That’s odd. Even the Catholic Church believes in innovation. 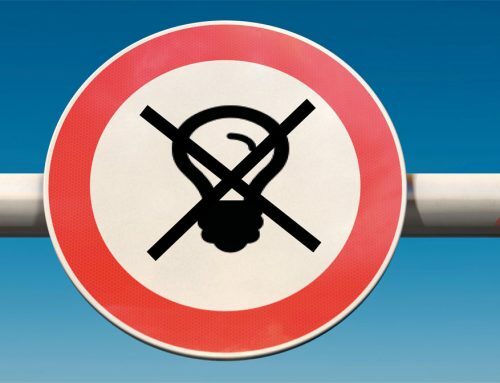 In a noteworthy article in America Magazine, it says, “Historically speaking, the church has produced countless innovations, both social and technological.” A lack of innovative strength has more often less to do with a lack of faith than with a lack of ideas. Creativity tends to become less important, especially in companies that focus on their operating business. Because efficiency is created primarily by clear processes with low degrees of freedom for individuals. But innovation needs the opposite: creative freedom and collaboration. After all, there is a solution for this: The Innolytics Software supports you in establishing a successful innovation management quickly and easily. Develop ideas together, involve customers and suppliers. Software for Digitization and Innovation. Planning and implementation of idea competitions and internal innovation campaigns. More information? Talk to us.